When the German-Swiss novelist Benedict Wells was 6, he was sent to the first of three Bavarian boarding schools where he would spend all his 13 years in school. “One of my parents was ill and couldn’t take care of me, the other one was self-employed and in financial trouble, so this was the best solution,” Wells says. 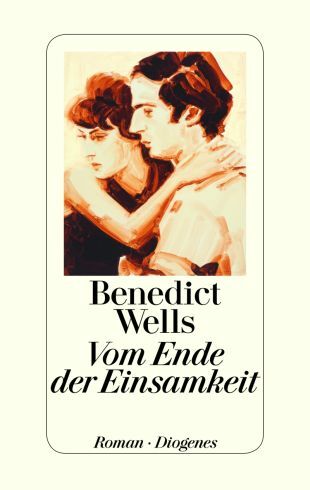 The story of three siblings who where sent to boarding school after their parents were killed in a traffic accident is a central part of Wells’ 2016 novel “On the End of Loneliness” (“Vom Ende der Einsamkeit”), which was published by Switzerland’s prestigious Diogenes Verlag. It was recently published in Hebrew by the Sifriat Poalim publishing house, and is due to be published in English in March by London-based Hodder & Stoughton. The cover of Vom Ende der Einsamkeit. “On the End of Loneliness,” Wells’ fourth novel, is moving and magnificently structured. It won the European Union Prize for Literature, stayed on Der Spiegel’s best-seller list for more than a year and will be translated into 26 languages. The book follows the three orphan siblings over three decades and weaves their touching coming-of-age story with a long, twisted love story between Jules — the youngest of the three siblings and the novel’s narrator — and Alva, a girl he meets at boarding school. This isn’t only Wells’ most successful novel, it’s the one that required the most effort — seven years, in which he shortened the book to 350 pages from 800. It’s also the first to be published since an inconvenient truth became widely known. Wells was born Benedict von Schirach; his grandfather, Baldur von Schirach, headed the Hitler Youth from 1931 to 1940 and was the Gauleiter — the governor — of Vienna during World War II. 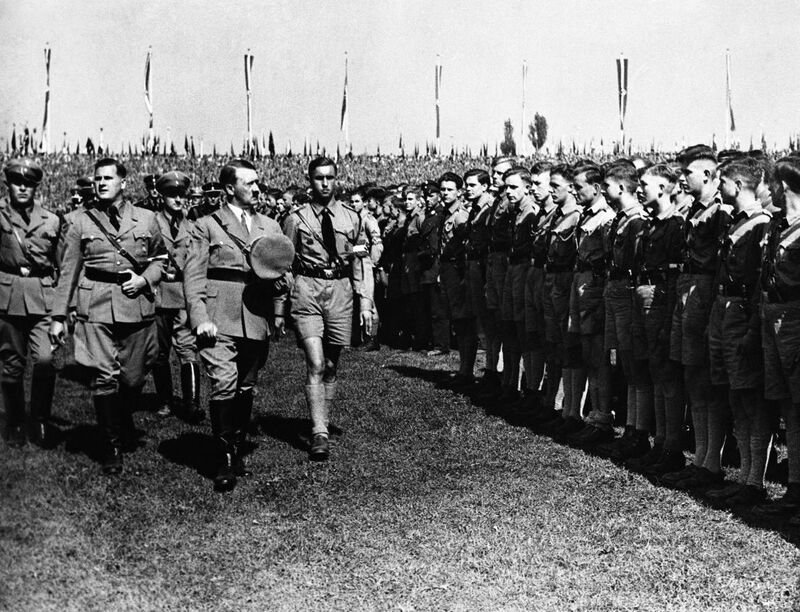 As the leader of the Hitler Youth he played a significant role in establishing Hitler’s cult of personality and instilled racism and anti-Semitism among German young people. In his second role he played a role in deporting Vienna’s Jews to the extermination camps. He was convicted in the Nuremberg trials of crimes against humanity and served 20 years in prison. Schirach remained well-known in postwar Germany, in part for expressing remorse in court and renouncing his support for Hitler and Nazism. His grandson, who was born a decade after Shirach’s death, changed his last name in his youth in a bid to get away from that family history. He chose Wells as a gesture to a character created by one of his favorite novelists, John Irving. In interviews with the German media, Wells hasn’t discussed his family background. So I asked Wells about the presence of his grandfather’s shadow as a child in Germany in the ‘80s and ‘90s, and about his name change. He says that as a boy, when he was told about Shirach, he couldn’t believe what he heard. “His words and deeds made me so angry, I felt so ashamed and sorry and sad, and I had so many questions. But these are a lot of words, when in fact I felt speechless. During my entire youth I was thinking about this topic and tried to read and learn about it as much as possible, and after finishing high school I decided to change my surname,” Wells told Haaretz by email. “My family, for example my parents, my sister and my cousin Ferdinand, always supported me in that decision. I wanted to distance myself from what my grandfather had done and this part of my family’s past, which I condemn in any possible way,” he says. Wells was born in 1984 in Munich, the son of German Sinologist Richard von Schirach and his Swiss wife. Wells’ father is the youngest of the four children of Baldur von Shirach and his wife Henriette Hoffmann (the daughter of Heinrich Hoffmann, Hitler’s official photographer). The couple separated after Schirach was imprisoned in 1945. Wells isn’t the only writer in the family. His older sister, Ariadne von Schirach, is a writer, literary critic and lecturer of philosophy, and their cousin is writer and lawyer Ferdinand von Schirach — two of his books, “The Collini Case” and “Crimes,” have been translated into Hebrew. Wells may have spent his entire childhood in boarding schools since he was 6, but his protagonists didn’t. “Since I never knew something else, I couldn’t miss it at all. The siblings in the novel on the contrary had a ‘life before,’ a beloved childhood with their parents, and from one day to another they lost everything they had. This is much harder,” he says. At the end of high school in 2003, Wells moved to Berlin, lived in Barcelona for a few years and then returned to the German capital. He made a name for himself with his first novel, the 2008 “Becks letzter Sommer” (“Beck’s Last Summer”), which two years ago was adapted into a film starring German actor Christian Ulmen. “I always liked to write little stories. Nevertheless, I had no idea what to do with my life when I was a teenager. 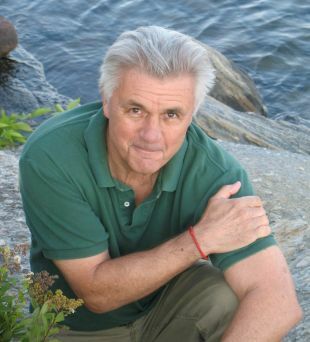 But then, at the age of 15, I discovered the books of John Irving. I was never a big fan of German literature, so when I read ‘The Hotel New Hampshire’ I found a whole new world, full of great characters and inspiring, rich stories,” Wells says. After reading some of Irving’s novels, he decided to become a writer himself, and after receiving his high school diploma he moved to Berlin to get started. “My apartment was lousy, there was no bathroom, only a shower in the kitchen, no heating and just one tiny room with a bed. But I felt incredibly happy, I was free. I decided not to study, but to do some jobs during the day time, and to write at night. In the first few years I only got rejections, but I knew that I had to become more experienced as a writer anyway,” he says. Wells says one reason for writing the novel was the possibility that writing literature opens you up. “I believe that every person has at least two personalities. Like many others, for example, I’m a different person when I meet with friends or when I’m in public, for example,” he says. At least outside Germany, contemporary German literature has the image of being heavy and serious; many German writers since World War II have focused on historical and political problems directly related to German society. On the other hand, in “On the End of Loneliness,” Wells presents a personal story about only one family, a story that at the same time is universal because it could happen anywhere. So as a young German writer, has Wells sensed that society expects him to write books that are largely political? “I had the same image when I was a teenager and I always felt attracted to English and American literature. Those authors sometimes wrote about historical or political topics too, but there is a difference for me between a weighty text with 800 pages and a short and tight text that does not reveal its weight while you are reading it, but only when you think about it later,” he says. “With ‘The End of Loneliness,’ I wanted to write something that is universal and personal, so there was just no space for political issues in that story. I tried to have no fear of other people’s opinions, because I didn’t want to censor my books already in my head or to write them for a certain literature market or fulfill some expectations. I just wanted to tell this story as well as possible,” he adds.